The immediate concern in the aftermath of an accident is always to take stock of the situation, make sure that everyone is okay, that no one is at risk of further harm, and to arrange medical care for those who need it. Call emergency services if anyone is hurt or if the road is blocked. Furthermore, you should call the police immediately if any other driver involved has left the scene without leaving their details or if you believe any other driver to be under the influence of alcohol or drugs. Also, it is important to call the police if you believe that the accident may have been caused deliberately. Whatever the case, you should ensure that you inform the police within 24 hours of the accident occurring. the accident date and time. If you can, you should also take photographs of your damaged car as well as photographs of any other vehicles involved, as well as of your injuries and the car accident scene in general. You’ll find some more useful information by clicking on the links below. 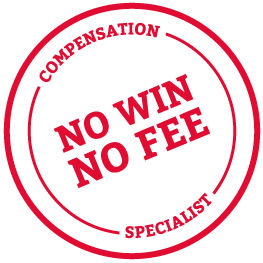 If you have been involved in a car accident, even if you are unsure whether you would be able to claim compensation, contact our No Win No Fee lawyers today on 0800 089 13 31 and we can investigate matters for you. Remember - you only have three years from the date of the accident to make a compensation claim.